without walking around the unit. Spring installation is fast and easy. WEIGHT OF LOADED PALLET (load & pallet) LBS. * CAUTION: PalletPal springs are precisely calibrated and will work best within the load weight and height ranges selected. Range 0 includes permanently welded spring caps that should not be altered without written consent from us. package. Adjustable feet are optional. 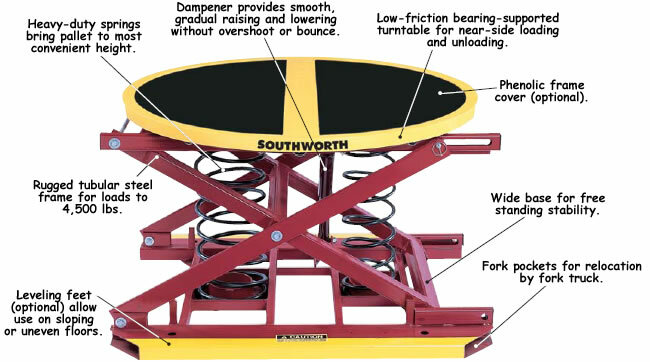 Specifications: Capacity: 220 to 4500 lbs. live portability, add 1/2" to low height. Weight: 420 lbs. each, approx. 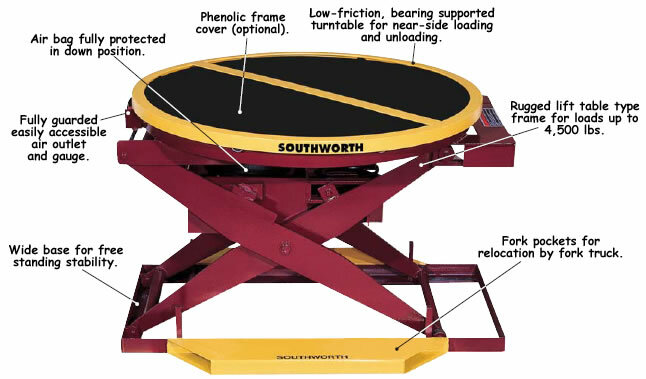 Rotator ring outside diameter 43 5/8"
fully compressed and pallet load reaches approximately 36". ease of portability and stabibility. Capacity: 400 - 4,500 lbs. NOTE: Base frame is 26 x 48. Overall width of base frame is 38 including the 6 x 2 fork pockets. 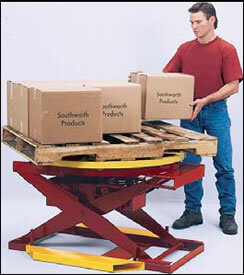 spotter with two steel wheels and pull plate on opposite end; to be used whenPalletPal is empty. 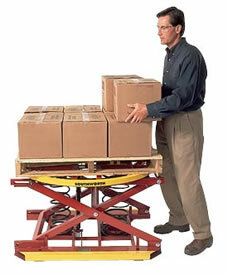 Air, and Automatically Positions Loads from your complete source for material handling equipment.